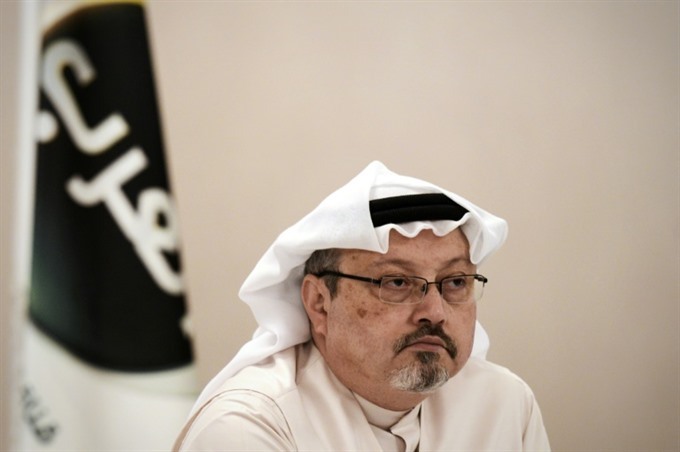 WASHINGTON — President Donald Trump said on Thursday he now believes journalist Jamal Khashoggi is dead and warned of "very severe" consequences should Saudi Arabia be proven responsible. "It certainly looks that way to me. It’s very sad," Trump told journalists when asked if he believed that Khashoggi, who disappeared more than two weeks ago, is no longer alive. Asked about the potential US response to Saudi Arabia, which is accused of murdering the Washington Post columnist and critic of the Saudi regime, Trump said: "It will have to be very severe. It’s bad, bad stuff." This marked a hardening of tone from the Trump administration, which has been reluctant to blame ally Saudi Arabia, despite mounting evidence that the kingdom’s agents killed and dismembered Khashoggi inside its consulate in Istanbul more than two weeks ago. Only then, Pompeo said, "we can make decisions how or if the US should respond." The furor has also blown a hole in next week’s Future Investment Initiative conference in Riyadh, which was meant to showcase Prince Mohammed’s plans for modernising the desert kingdom. Neither Turkey nor the US has publicly confirmed that Khashoggi is dead or said officially that Riyadh is to blame.